I've put a link below to a recent video from AccuWx Forecaster Bernie Rayno - he explains the process (calculations and miscalculations) of long range weather models and why they change large scale features and sensible weather forecasts from day to day. If you watch, he explains in detail that it might, possibly, could, maybe, has happened before, might not though....snow next week. Next Week - Snow in the Offing? Whether wintry weather will - or will not - come to pass. But remember such things are always mere gas. 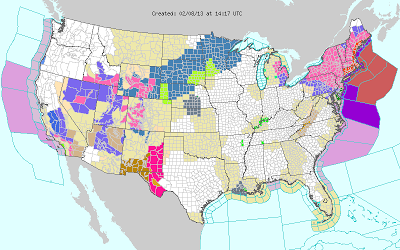 Winter Wx Advisory overnight into the AM. I feel pretty confident we might see some sleet, possibly light freezing rain, but warm above 32° (if we get that low) early AM. Might update later - go do your homework. I know... Where is the snow? Mainly east of here near Raleigh. Thoughts: Wait for it... Still think 1"-2" with heaviest amount in the E/SE portions or Rowan. Heavier band of precip starting to show on radar to our West as the upper level trough/forcing swings through. 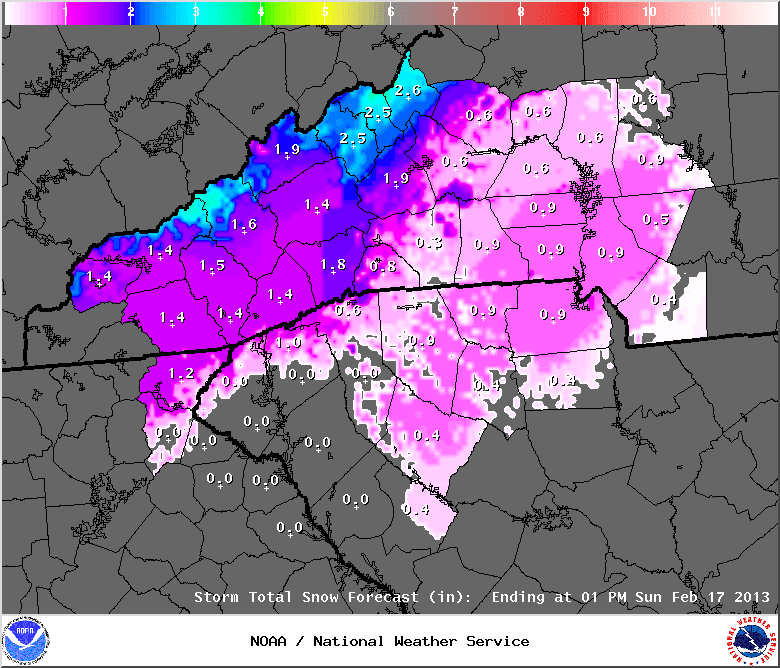 Summary of my thoughts in picture form, courtesy of the Raleigh NWS. Expect a period of moderate snow late afternoon/evening and then it's over. That's when snow will stick - hopefully quick. The NWS has 1" forecasted as seen below. Expect a Winter Weather Advisory soon. NWS Forecast as of 10PM Shows .9"
Only change is the timing - rain showers starting late morning - and should quickly turn to snow as the atmosphere wet-bulbs down. A quick event, should be over ~ 9 or 10 PM. Cold Sunday/Sun PM. Raw numbers for KRUQ (Rowan Airport) on latest GFS model run say .19" here. Convert 10:1 and take off for rain = .15" of rain / 1.5" of snow. Just an example of one model run. 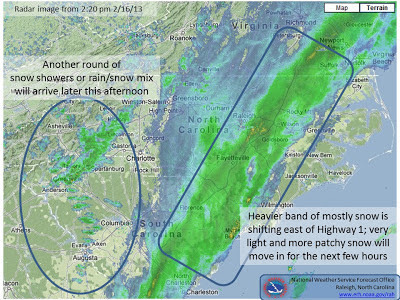 East of here, the precip amounts increase, and the NE coast/ beaches of NC should get more snow. I will post if anything changes forecast wise. Enjoy the snow. Out for now. Here comes SNOW - is it Lust or a Bust? Time: Between Saturday PM (say 6pm) and early Sunday (before light). FRIDAY NIGHT / SAT / SUN.....SNOW? However, all the major weather models are trending towards more precip around the area - if trend continues and verifies, the chance of snow, and amount will rise. Still talking tenths of an inch - so no blizzard coming even if the outliers verified. Here is the NAM, same time (more precip/closer). 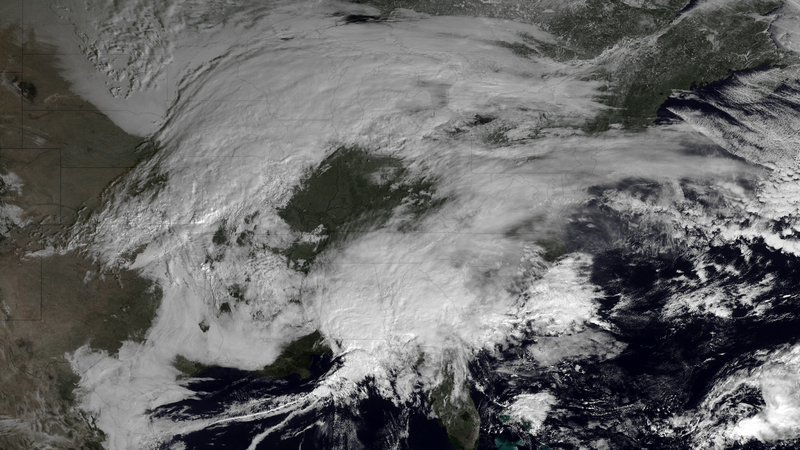 I don't often post on weather events of little concern / no impact around here, primarily because it is depressing and disheartening to a snow lover to talk about snow elsewhere...BUT the Nor'easter taking shape (literally) and headed for the record books today into tomorrow night is worth it. Put another way, if we ever saw the ginormous amounts of snow that will fall in New England, the South would be paralyzed for weeks/months etc. 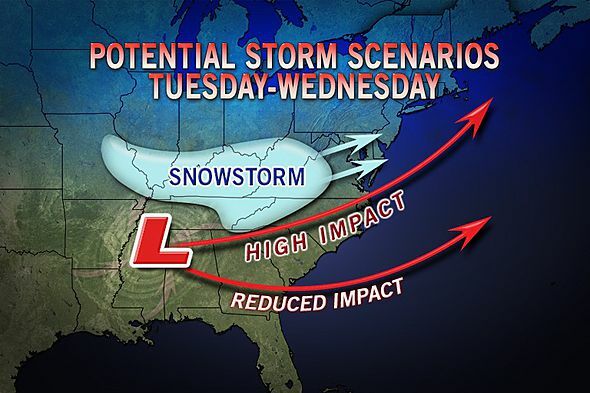 This begs the question (I think) of how much snow will fall in the Northeast through Sunday. Massachusetts. 2/3 of Maine, RI , CT, NY, VT, NH, NYC, Eastern PA - measuring in feet and likely yardsticks. Most areas will see 18-24" with 3 and possibly 4 feet across Eastern NY, NH, MA, and Maine. Here is why we (big we) should see a Nor'easter of possible record breaking proportions. 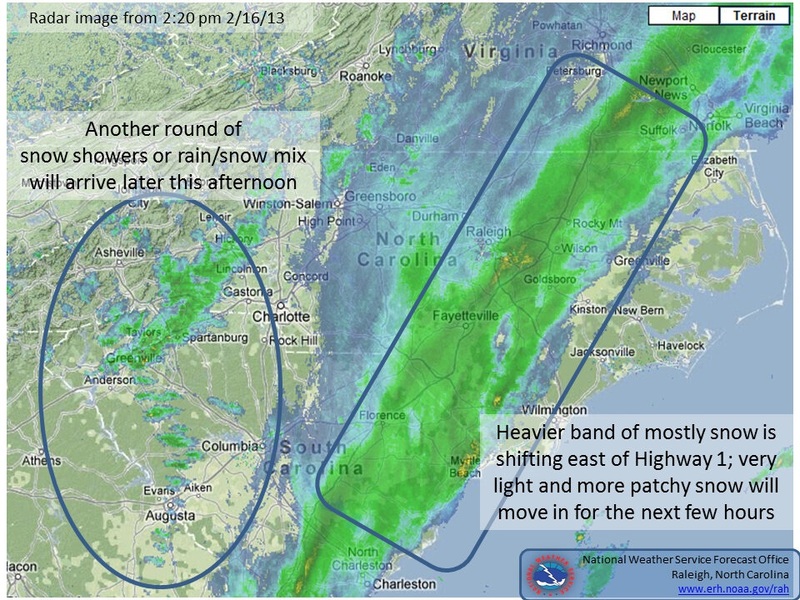 Satellite above, and radar below explain best - show two systems moving towards the same spot. Low pressure now off of VA/Delmarva (brought us rain) will deepen / strengthen rapidly as the northern stream low across the Great Lakes "catches up" / transfers more energy towards the coast, causing cyclogenesis. "Bombing Out" is the colloquial term. 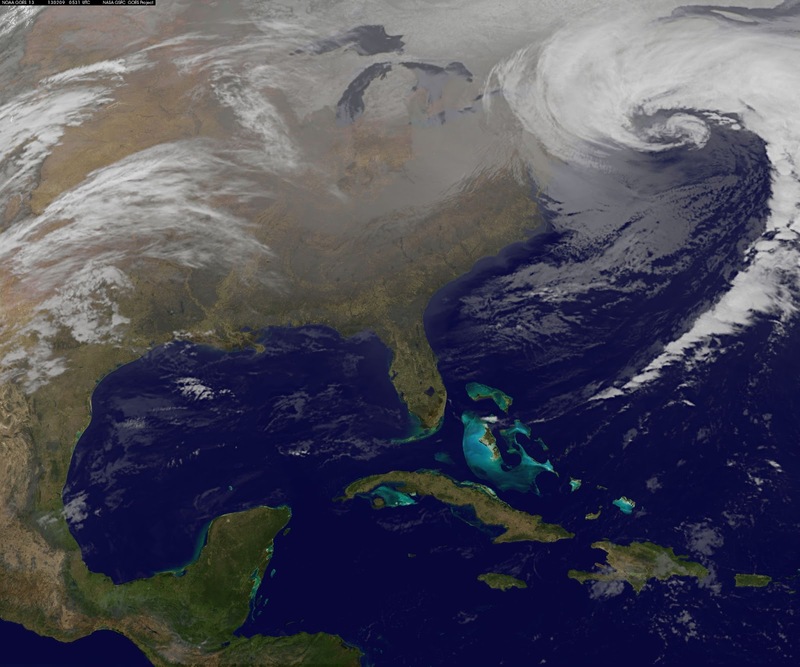 This will happen off the coast of NY/NJ later today/tonight. Once intensified, some areas will see snow fall at rates of 3-4" PER HOUR. At the bottom are a few weather models showing this "bombing" and hurricane strength low pressure system (but not). Storm Track(s). Green Low Pressure Area Will be the Nor'easter After Northern Energy Catches Up.